In the middle of 2009, the latest published figures show that 4.3 billion people throughout the world use a mobile phone regularly. The massive increase in mobile phone use only stems from the early 1990s, and twenty years is too short a time to assess whether using mobile phones really is completely safe. Some effects on health may not become apparent for 25, 30 or 40 years or even longer. Despite many studies and tests over the last two decades, it is still therefore too early to draw firm conclusions. Nevertheless, the World Health Organisation and the European Commission have stated that the evidence collected so far makes it very unlikely that using a mobile phone will increase the risk of developing head and neck cancer. Other effects on brain tissue, brain function and hearing are more difficult to rule out. The amount of radiation sent out by each mobile phone varies with the model and make. The radiation is in the form of radiowaves, which can have a maximum power of 2 watts. Some mobiles produce much less – between 0.6 and 1 watt. To get this in perspective, a household microwave produces between 600 and 900 watts, although your head is not actually in the microwave while it is doing so. Manufacturers of mobile phones now published information about the amount of radiation that their handsets emit. This is expressed as the specific absorption rate (SAR). The SAR is a measure of the amount of radiation produced by an electronic device that is actually absorbed by human tissue. The safe limit for mobile phones for the head has been set in the USA at 1.6 watts per kg over a volume of 1 gram of tissue. European limits are expressed differently – as 2 watts per kilogram over a volume of 10 grams of tissue. When checking out the SAR ratings on mobiles, you need to know which if these systems has been used to generate the data. A further complication arises because the amount of radiation emitted by a handset can vary with which transmission bands the phone is using during a call. This can change as the call is in progress and it not under the control of the user. Most people believe that they can avoid any risk from mobile phone radiation by using a wired or wireless head set. Evidence from monitoring shows that this is not necessarily true. A percentage of the radiation from the phone travels into the handset, and although this is never as high as the phone itself, some radiowaves are transmitted into the ear and surrounding tissues. Of the many studies done to look at the rates of cancer in people who do and do not use mobile phones, thousands of people have been questioned. Generally, all of these studies err on the side of caution but have not found any definite evidence that the more you use a mobile, the higher your risk of glioma, meningioma or acoustic neuroma. Studies have been carried out during the last 10 years in Denmark, Sweden, the UK, Germany, and there has also been a joint study done between several European countries. All looked at mobile phone use over 10 years and concluded that very high level users may have a slightly increased risk over time, but that ‘ordinary’ users did not. 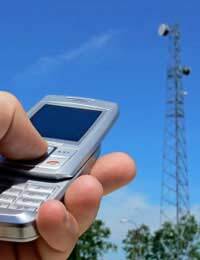 Some of the methods used have been called into question because the studies did not differentiate between mobile phone users and the people who paid for the mobile phone or the contract. It is important to correlate the data so that the risk of cancer can be assessed in relation to mobile phone usage, not just ownership as parents may buy mobiles for their teenage children, but never actually use them. During the next 10 years, more studies will continue to report data on mobile phone use. The most telling of these reports are the more recent ones that look at cancer rates in people who began to use mobiles as children. In young people, the bones of the skull are much thinner than in adults, particularly in the region of the ear and temple. In 2020, the head and neck cancer rates in adults of 30 will be scrutinised very closely, particularly in light of recent statistics that show that 83% of 17-year olds in the US and Europe use a mobile phone on a regular basis.